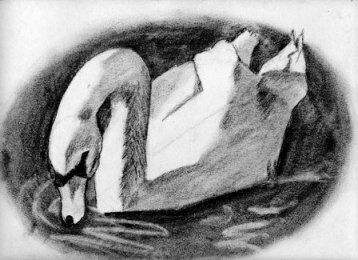 The Daily Swan: Wednesday Already? Time is FLYING by. I'm nearly 31 weeks along, and Baby Joshua is making himself known 'round the clock. Caleb is getting ready to turn three in a week, and I absolutely refuse to believe it. 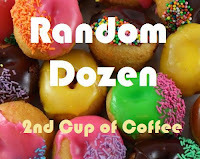 :) Anyway, here's another Random Dozen. I can never get enough random questions. Fun things to think about. Sadly, yes. I LOVE public libraries and am utterly ashamed that I have been on the naughty list. In middle school, I checked out a book --possibly one of the Little House on the Prairie books-- and lost it. I didn't find it again until we were moving away from the area. It ended up being less expensive to buy the book than pay the fine, but I took it in anyway just so they would know I had found the missing book. Oddly enough, we are in the same situation now with a book Katy checked out. The closest I've come is that earthquake we had a couple of years ago. It was at five in the morning on a day that Stephen goes in to work quite early. I woke to the shaking, thought, "Huh. Must be an earthquake." Then I went back to sleep. Yeah. Hoping that no "life or death" situations arise whilst I am sleeping, because apparently it takes a lot to shock me into alertness. Ummm, I know who he is, but I couldn't name a song of his off the top of my head. After some research, I have decided that for me his jingles are the most familiar (State Farm, Band-Aid, etc.). Love, love, love being in performances, so those are my favorite costumes. I have played a variety of chorus roles and some named characters. My favorite was probably what I wore as Mrs. Bedwin (housekeeper/nanny) in Oliver! Dictionary. When I talk, however, I tend to go through a few words before I settle on the one that's just right for what I'm saying. Eggs, bacon, and toast. And now I'm hungry. Nope, but some things interest me. Not really, but I do believe in the hard work that it takes to maintain a relationship. 11. How many pairs of jeans do you own? Maybe three regular pairs and about 10 maternity ones. And that's after thinning the herd. A randomized pile of books. Some open, some shut. Lots of children's literature. Bookmarks of all sorts. I was just thinking yesterday wow April 20th already? Crazy how time flies. I love your answer to #10. Oh, your blog design is lovely and all the best as you await the birth of your son. So enjoyed your answers today, made me smile and laugh. Blessings to you! When I was a kid my parents let my sister and I sign out 25 books each from the public library (the max the library allowed). So we always had 50 library books at a time, I don't know how we didn't lose anyhaha.